Yesterday a fire broke out onboard Carnival Liberty which is operated by Carnival Cruise Line. At the time the ship was docked in St Thomas, U.S Virgin Islands. Most importantly there were no injuries to any guests or crew from the fire which broke out in the ship’s engine room. The automated suppression system did extinguish the fire before it could spread further. Passengers were forced to wait in a local hotel’s reception in St Thomas for safety. They were given refreshments and well looked after by the cruise line. 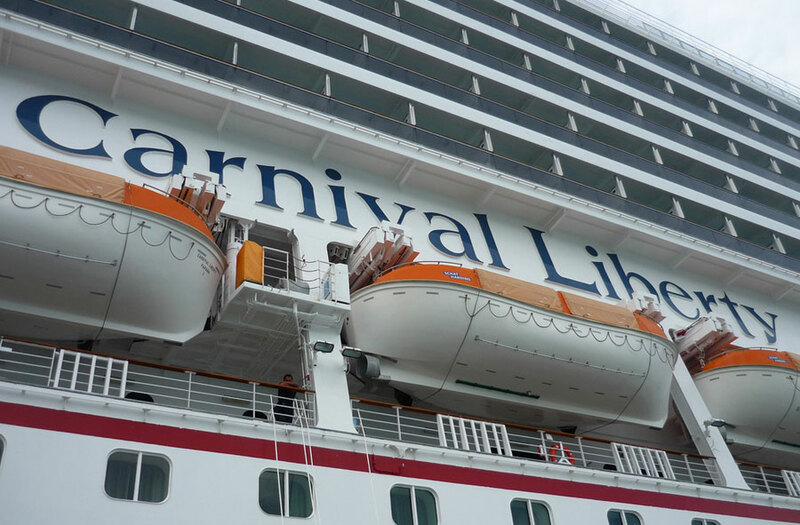 While docked in St. Thomas today Carnival Liberty experienced an engine fire that was extinguished by the ship’s automated suppression system. There were no injuries to guests or crew. All guests remained ashore through this evening while the ship’s technical systems were evaluated. Presently, all hotel services including air conditioning, elevators, toilets, galleys, etc. are fully functional. The fire occurred while docked in St Thomas in the afternoon and all crew and passengers were off the vessel until it was safe. The cruise line has also stated that none of the hotel operations including air conditioning, elevators, toilets and galleys are working normally. Crew was permitted to reboard at approximately 5:30 p.m. EDT to prepare for the anticipated embarkation of guests. At approximately 8 p.m. EDT the U.S. Coast Guard gave permission for guests to reboard. Dinner is being served in the main dining rooms and Lido, and a variety of entertainment and activities are available. A team of experts is in the process of conducting a deeper technical assessment of the affected engine room that is expected to be completed in the morning. At this time it has not been determined when the ship will depart St. Thomas. We apologize to our guests for the inconvenience and appreciate their patience. As mentioned in Carnival’s statement the crew were allowed to reboard the vessel at 5:30 p.m. local time to prepare services for the evening ahead. After the U.S. Coast guard gave the all clear guests were allowed back on the Carnival Liberty at around 8 p.m. The 110,000 gross ton Carnival Liberty is sailing 7-day southern Caribbean cruise that departed San Juan, Puerto Rico on September 6th. Due to an investigation and evaluation of the fire the ship has not yet departed St Thomas. Carnival Liberty was originally scheduled to leave the port at 5 p.m. September 7th. Carnival will release more updates including any itinerary adjustments.